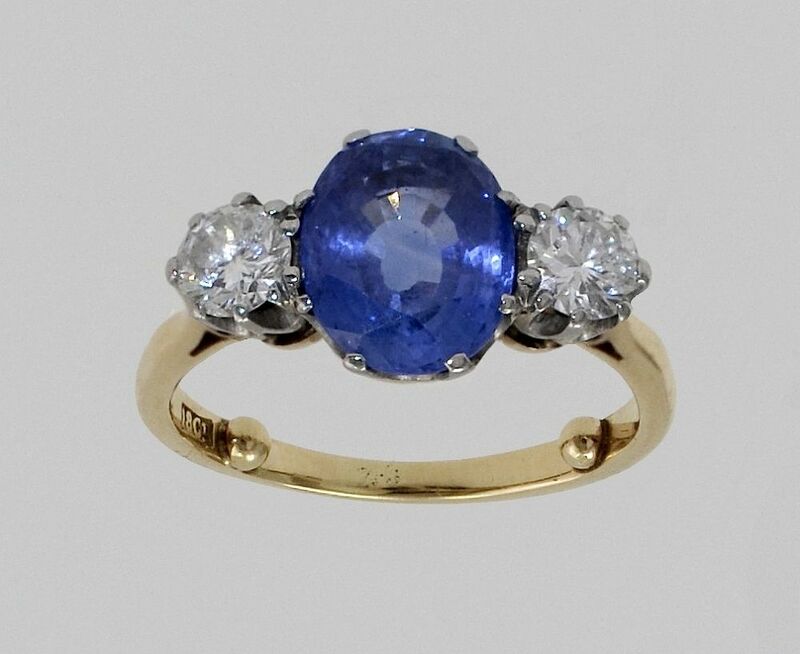 This superb 18ct yellow & white gold sapphire and diamond three stone ring has a cornflower blue sapphire (Certificated) mounted in an 18ct white gold claw collet. On each side of the sapphire is a round brilliant cut diamond set in an 18ct white gold claw collet. The shank is marked 18ct yellow gold with gold pips set into the inside of the bottom of the shank to prevent the ring swivelling. 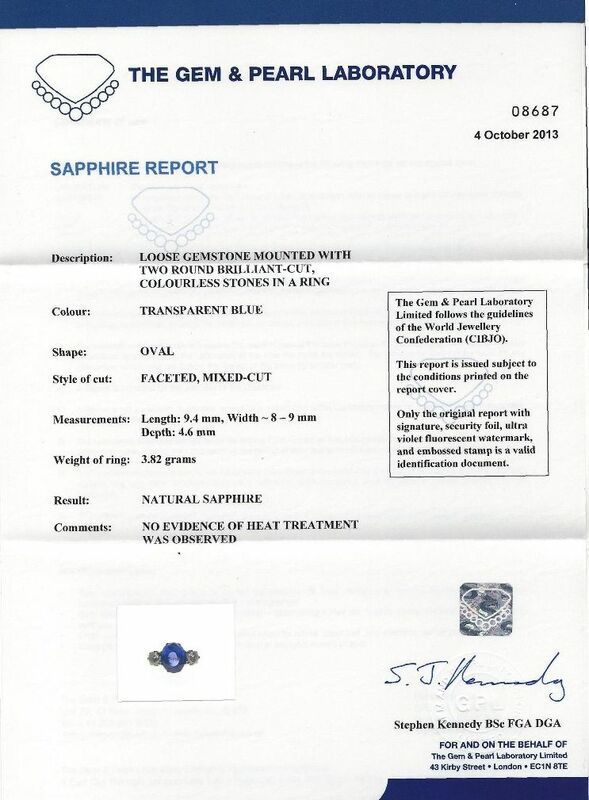 The sapphire is certified by the Gem & Pearl Laboratory London stating that no evidence of treatment was observed i.e. it has not been heat treated.